You’ll find yourself in a dark wooded area, make your way along the path and you’ll trigger a short cut scene. Then using the Y button hit the tree to make it drop an apple and use the A button to pick up the apple. Hold the Y button down to aim the apple at the target and release the Y button when you have it on target. Note: if you are not standing far enough to the right of the path it won’t hit the target. When the target has been hit successfully it will turn green and you’ll watch a short cut scene. Jump over the fallen tree and collect the studs up the path. At the top of the path you’ll see another dark horseman and target to the right. Switch your character to Sam (Shire) and use the A button and rotate the directional buttons to dig in the dirt to reveal a round object. Use the object on the target like you did for the last one. A bit further up the path you’ll see a free spat, using the Y button break the green spat and then use the A button to crawl through the hatch; this will spook the horseman who will move to a new position. To the left of the hatch you’ll see a plant, use the Y button to break the plant up… (tbc). Switch your character to Merry (Shire) and press the A button to fish in the river while standing on the gold ring; this will produce a horseshoe object. Use the object to hit the target with fire above it to set the bridge on fire and move the horseman. Use the Y button to break up the box next to the decking which will produce a pile of bricks. Hold the A button to make a bridge across the river and trigger a short cut scene where the bridge is broken. Switch your character to Sam (Shire) and press the A button on the dirt patch to plant some seeds; this will cause the plant to grow and the horseman will run away. A bit further down the path you’ll see a plant with a flame infront of it, using Sam’s character press the A button to light and burn down the plant to reveal a hatch. Then use the A button to crawl through the hatch to get through to the next area. Head down the path and switch to the Pippin character, you’ll see two gold rings next to two objects. Press the A button next to first object to fill Pippin’s bucket up and then press the A button on the second to wake up the owl and scare horseman. Then you’ll see another gold ring a little further down the path, using any small character press the A button on the ring get boosted up to the hatch. At the top of the tree, walk along the long branch to make a bolder fall down and scare the horseman. Go past the silver wall (unless in free play mode) and you’ll see a silver rock before the horseman, use the Y button to break up the rock and reveal a food patch. Switch your character to Pippin and use the A button to use his food pouch to get a carrot. Throw the carrot at the target using the Y button to target, this will make a bees hive fall so you can continue along the path. 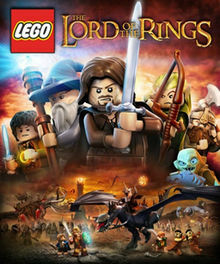 After the long cut scene you’ll find yourself in a room as Gandalf. This is a boss round, in order to defeat the boss you need to wait until the boss throws a fire ball and then continually tab the A button. When the fireball hits the boss, tap the Y button as many times as you can to kill the boss; you’ll then need to repeat this until you defeat the boss. After the cut scene you’ll need to run as fast as you can down the path away from the horseman, watch out for the obstructions on the path, most of them you can jump over. Character Token: Towards the end of the path you’ll see a character token on the LHS of the path, my tip would be to try and stay on the LHS of the path as much as posible.